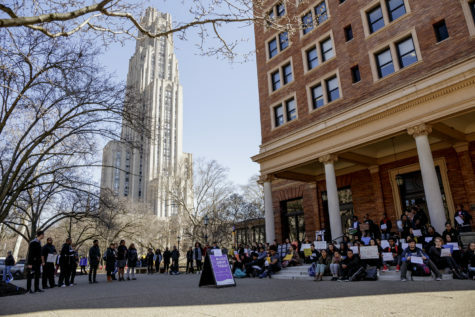 To remember the death of Antwon Rose II, Pitt’s Black Action Society organized a die-in protest on the front steps of the William Pitt Union on Wednesday. About 120 people, mostly Pitt students, joined in sitting or standing near by. The group remained there, silent, for 40 minutes — 10 minutes for every day of the trial of former University and East Pittsburgh police officer Michael Rosfeld, who shot Rose in June 2018. This event marks the sixth day of “Justice for Antwon” protests since the jury acquitted Rosfeld of all charges. Unlike other protests that have taken place throughout the City over the past week, this one — a die-in in honor of Antwon Rose, organized by Pitt’s Black Action Society — was completely silent. 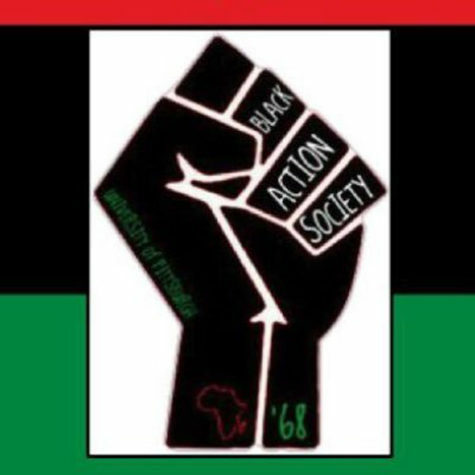 “[The goal is] just to show solidarity between all students on campus and faculty and staff, but specifically black students and just to show support for Antwon Rose’s family,” Edenis Augustin, the Black Action Society president, said.